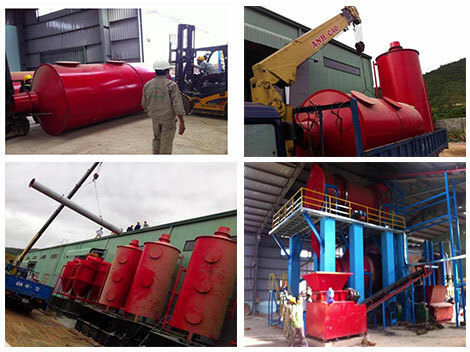 Biomass pyrolysis plant is a kind of plant that turns biomass into biochar through pyrolysis technology. Biomass mainly refers to straw, trees and other lignocellulose in production process of agriculture and wood, except to grain and fruits. It also includes waste from farming industry, livestock manure. It is renewable, low pollution and extensive distribution. So we can take advantage of biomass pyrolysis plant for sale to make profits. What a Biomass Pyrolysis Plant Does? 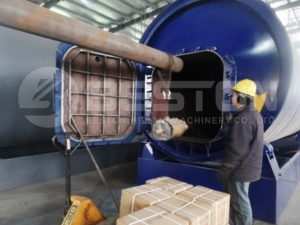 The biomass pyrolysis plant for sale (also called biomass carbonization plant, or biochar pyrolysis machine) is used to produce charcoal from biomass waste by high temperature heating. The charcoal from biomass has a wide range of applications in many industries. Firstly, agriculture. The biochar charcoal can be used as soil amendment or biological carbon fertilizer to improve soil conditions and facilitate harvesting. Secondly, industry. The charcoal can be used as fuel, activated carbon or steel coating agent. Thirdly, daily life. It can be used for BBQ or used as Shisha charcoal. 1. 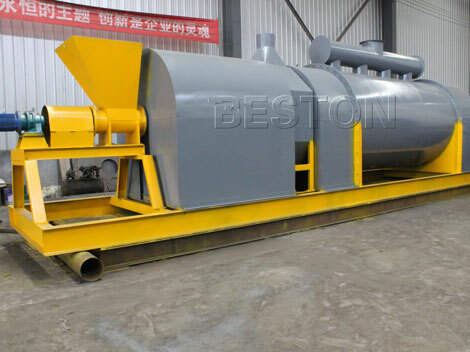 The biomass pyrolysis plant adopts double-layer design, which can make the lower part of the machine contact with the hot air as much as possible and meanwhile, this design is helpful to raise the heat utilization efficiency from the beginning. 2. The smoke abatement and desulfurization steam will be cooled by the condenser, which guarantees the gas pollution-free and can achieve the environment protecting standard. 3. In the production process, there will be a little combustible gas producing. The gas can be transported by the fan to heat the biochar pyrolysis furnace, which can save much energy. 4. 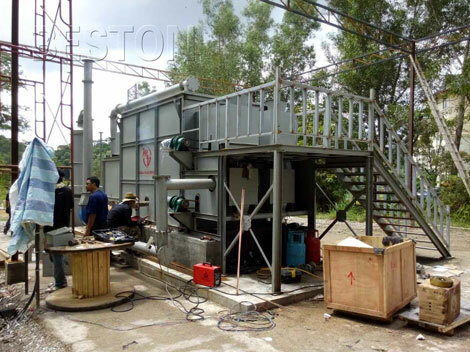 There is only one hot air source in the whole process of operation, therefore, it will save lots of cost for clients. 5. The biochar pyrolysis technology could reduce the volume of the combustible waste more than 95%. 6. The pyrolysis biomass plant adopts one fire two step method, which is the unique technology in the world. 1. What raw material do you want to dispose? A: wood, rice husk, palm shell, straw, bamboo shavings, coconut shells, sawdust, sewage sludge etc. B: waste plastics, tyres, rubber, medical waste, oil sludge, etc. 2. Which capacity would you like? Contact us for detailed parameter of the plant. 3. Where are you from and what is your email address? Send the information to us and our professional sales will reply you as soon as possible in 24 hours. Or you can also talk with our sales consult online directly about the biochar production equipment. Raw Materials 1. 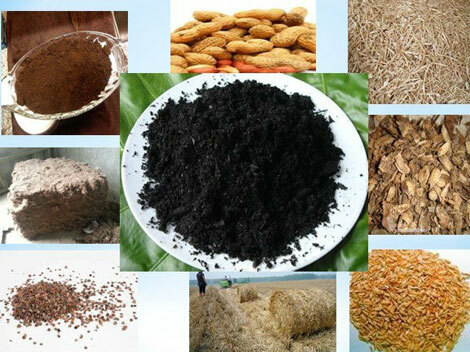 All kinds of biomass waste, such as sawdust, Coconut shells, olive shells, palm shells, bamboo,etc.